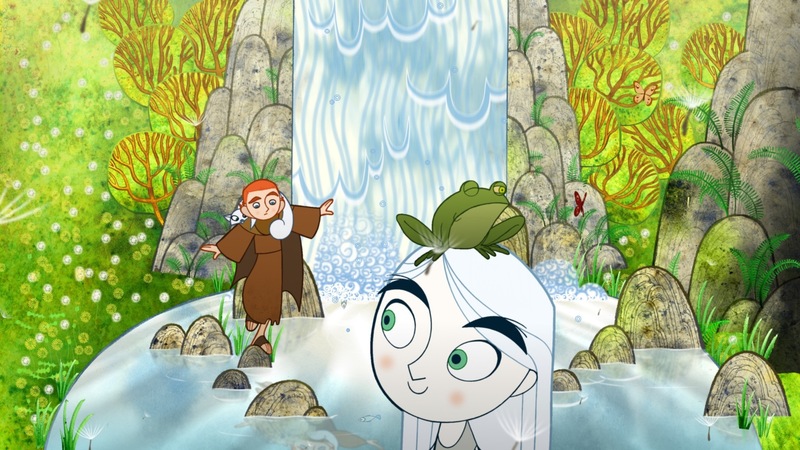 Directors: Tomm Moore, Nora Twomey. Voices: Evan McGuire, Brendan Gleeson, Mick Lally, Christen Mooney. Hand painted artwork is such a treat these days, considering most animation is computer generated and the hand crafted imagery in this one is some of the finest you’re likely to see. 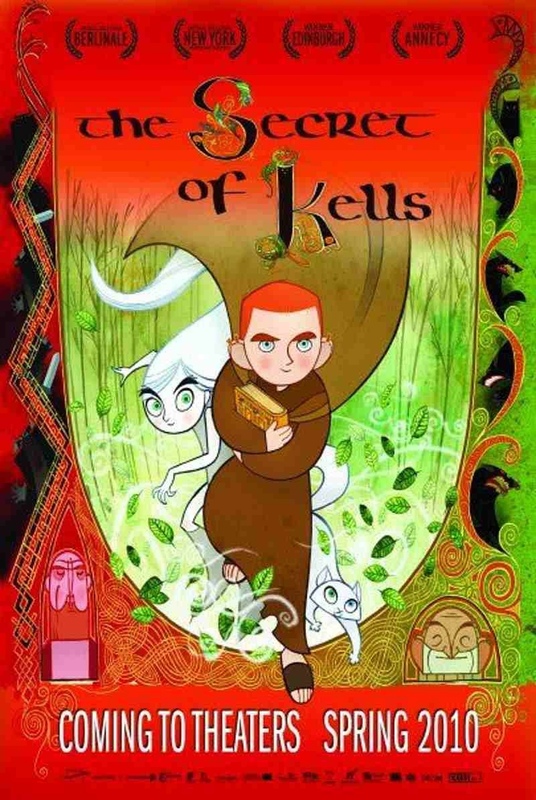 It tells the story of Brendan, a young lad living in a monestry in Ireland, and his interest in the arrival of Brother Aidan, who is writing an almost magical looking manuscript. However, the Brother can’t finish his writings until he can get more bramble berries, to use for ink, that can only be found in the dangerous forest beyond the Abbey walls. Brendan takes it upon himself to venture out and retrieve the berries and becomes embroiled in a whole new world of possibilities. I had high expectations for this film but it didn’t capture my imagination as much as I thought it would, although the animation is second to none and absolutely gorgeous in it’s hand painted intricate beauty. It truly is captivating. The illustrations of the real “Book of Kells” are captured and brought to life in their complexity with this film. The traditional Christian iconography with swirling motifs and animals and mythical beasts, together with Celtic knotwork and interlacing patterns are as close a representation of the book as your likely to get. Despite the visual feast, however, there is something missing. The dialogue is stilted and it doesn’t engage you the way it should. I found myself drifting throughout it, when really I should have been glued to the screen with the marvellous Christian and Pagan symbolism. If they had put as much effort into a flowing narrative as they did with the animation this would have been a masterpiece. Unfortunately, it’s not. But it’s a damn good looking attempt at one. This entry was posted on January 28, 2012 at 3:48 pm and is filed under Animation, Family, Fantasy with tags 2008. You can follow any responses to this entry through the RSS 2.0 feed. You can leave a response, or trackback from your own site. It’s a shame too, since the animation is so spectacular.